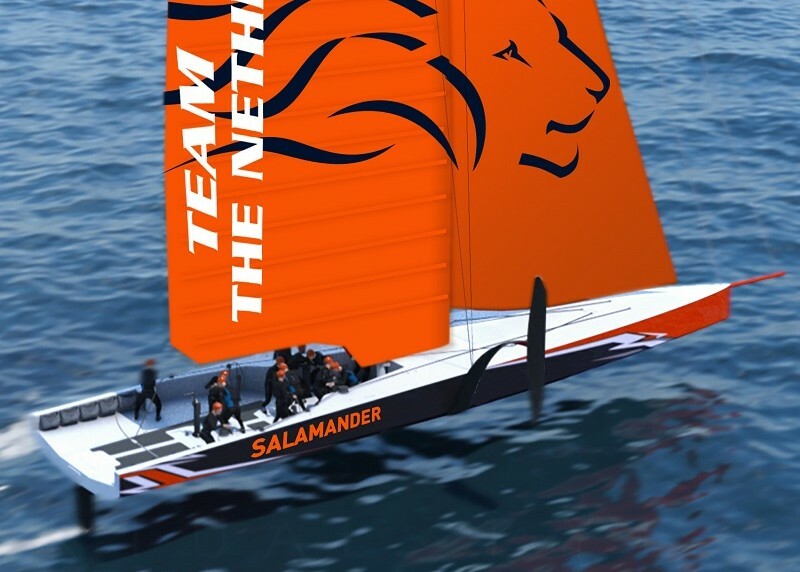 The Netherland’s America’s Cup Team, DutchSail, has posted an appeal to supporters to contribute €100 per month to finance their campaign. The intention is for the DutchSail Foundation to issue certificates to support the financing of the campaign. The certificates cost €100 per month and will be issued on DutchSail BV shares which will be held by the foundation. The foundation hereby acts as an administration office and thereby represents the interests of the certificate holders. These costs will be charged for 24 months from 1 April (the duration of the campaign). The number of certificates is limited to 1,000 pieces. There is no limit to the number of certificates per person or organization. The syndicate CEO Simeon Tienpont says the money will be repaid if they can’t get past an April 1 deadline when they must pay part of their US$1m late entry fee. Under the latest changes to the protocol they have to pay US$250,000 by 1 April and the remaining US$750,000 by 1 October 2019. Plus there is also an US$1m guarantee required.